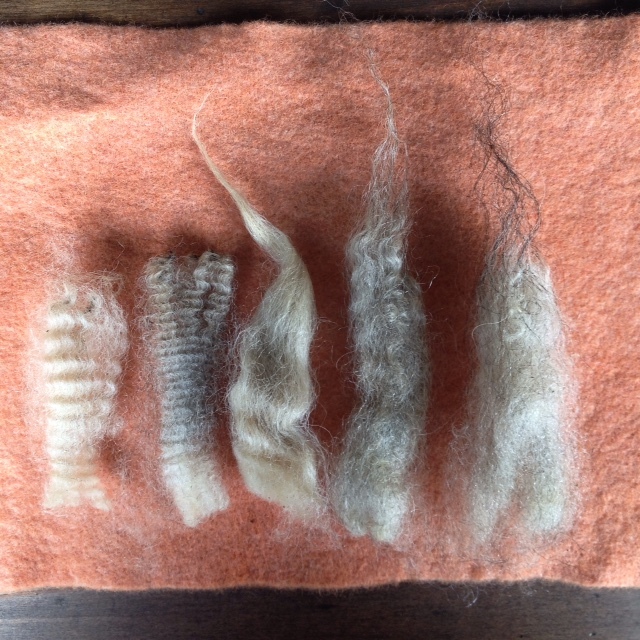 Introducing the fleece of Eloise, the Shetland sheep. 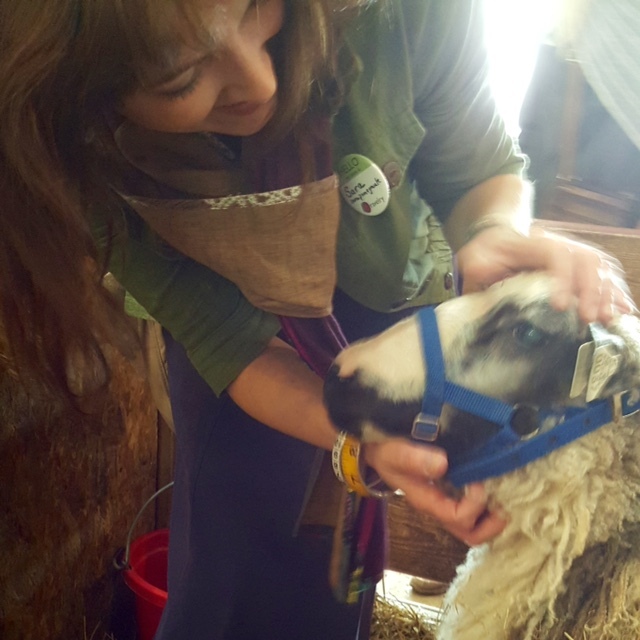 The Yarns at Yin Hoo podcast is co-hosting a special series — a deeper exploration of our craft and connection to sheep. Each episode in the series will feature practical and useful information, personal stories, and suggestions. I have already learned so much from my fellow podcasters Claire, Emily, and Sarah; I’m certain that you will benefit from their thoughtful consideration of the topic. 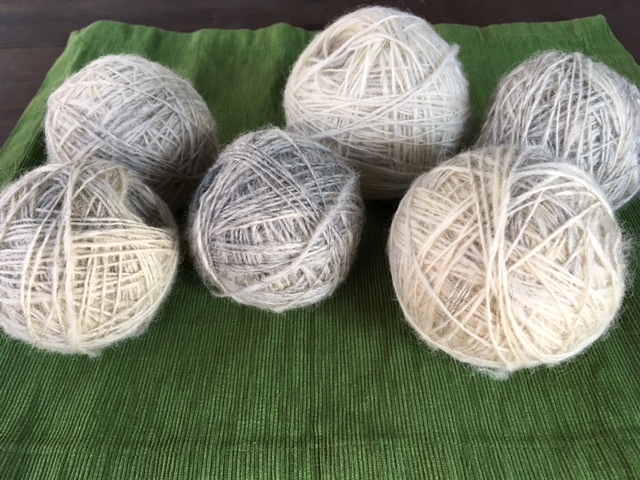 We have differing levels of experience and points of entry to fiber craft, which is sure to result in there being something for everyone in this series. 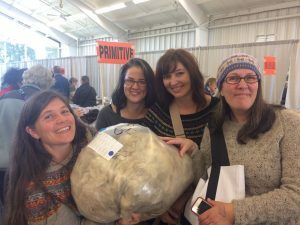 If you have felt, as I did, that the fleece tent at a fiber festival is overwhelming and intimidating, if you’ve been considering a fleece purchase, if you have unprocessed fleece languishing in storage, if you’re experienced in fleece processing — you are invited to participate in the discussion threads, ask questions and share ideas. Podcast hosts will be facilitating discussion threads and awarding prizes for engaging in discussion. 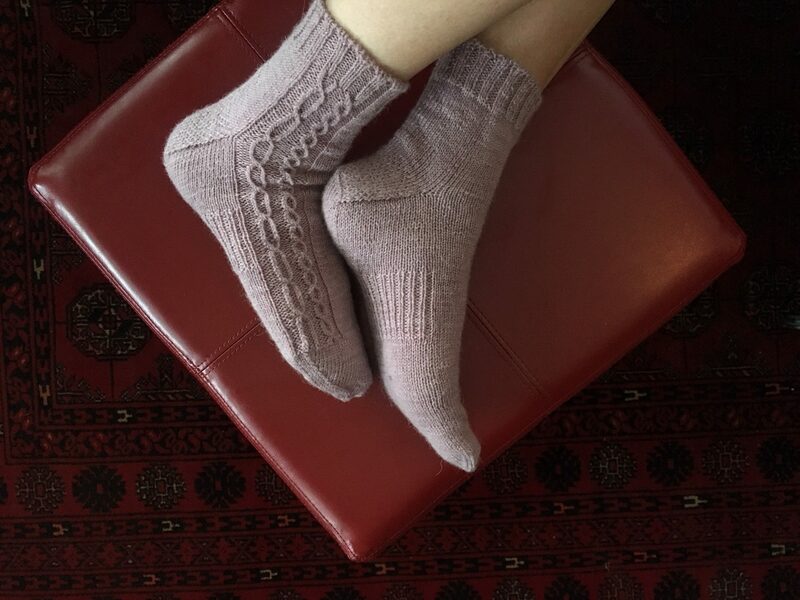 Part I of the series began the week of September 18th on New Hampshire Knits, continuing on FiberTrek, Fibre Town, and concluding here on the YAYH podcast just before Rhinebeck 2016. 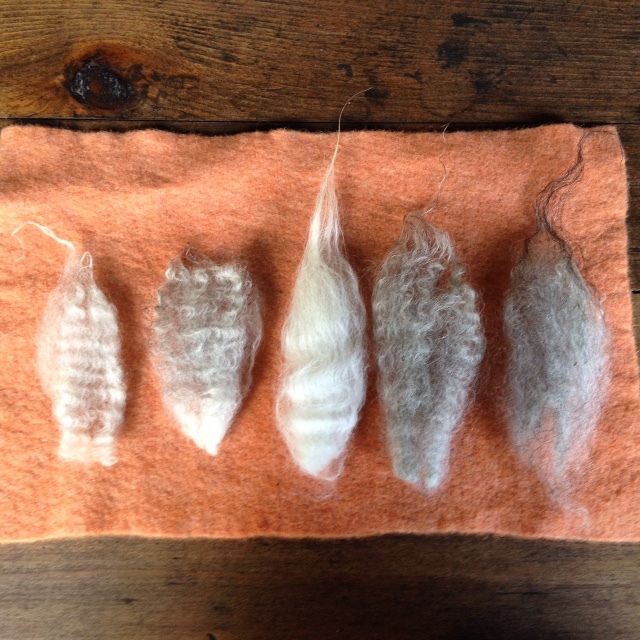 My Fleece-wise episode focuses on how to process a fleece, and explores the options for store, spin or scour. 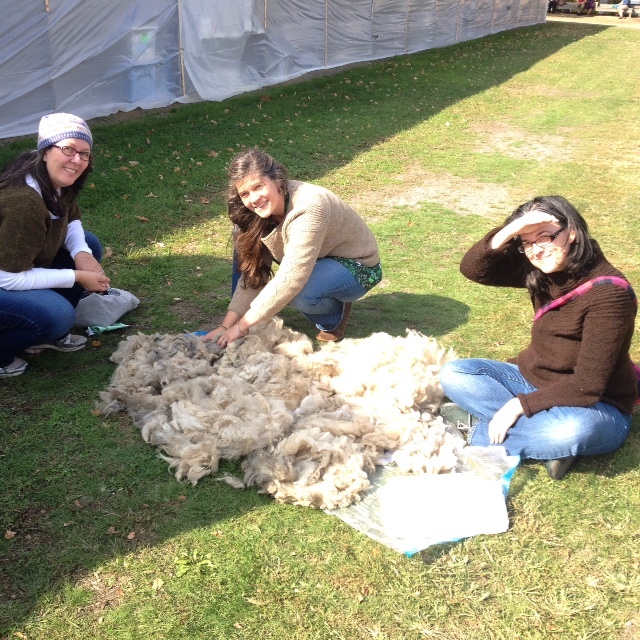 On Sunday, we divided the fleece for Part II of our Fleece-Wise series. Part II of the series will follow our adventures as we scour, and begin to work with the fleece we purchased together at Rhinebeck. Eloise is a Shetland, and her fleece weight at purchase was 2 lb. 12 oz. We will be learning together and continuing to share our journey with podcast listeners and viewers over the coming months. Raw locks of Eloise from 10.9 oz. of unwashed fleece. I note characteristics of musket (left) and emsket (second from left). 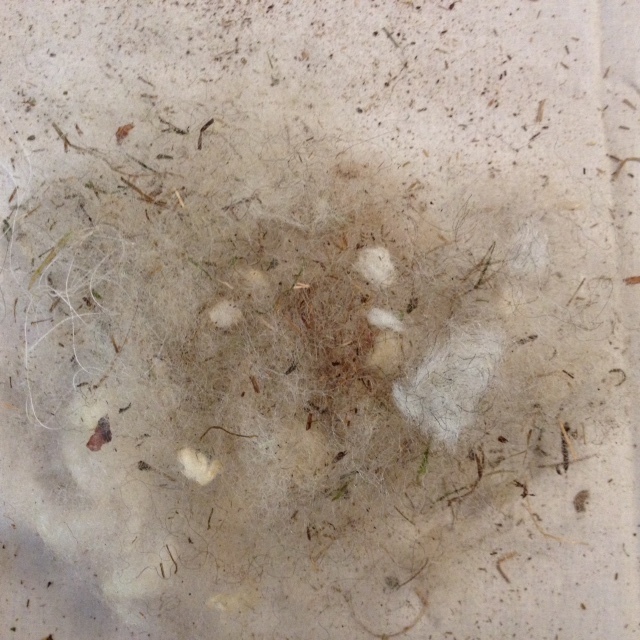 Piles of fleece after stapling (sorting locks by staple length and other similar features.) Tips have been opened to facilitate thorough scouring. Second cuts, vegetable matter (VM), and dirt from the fleece. Weight: < .1 oz. 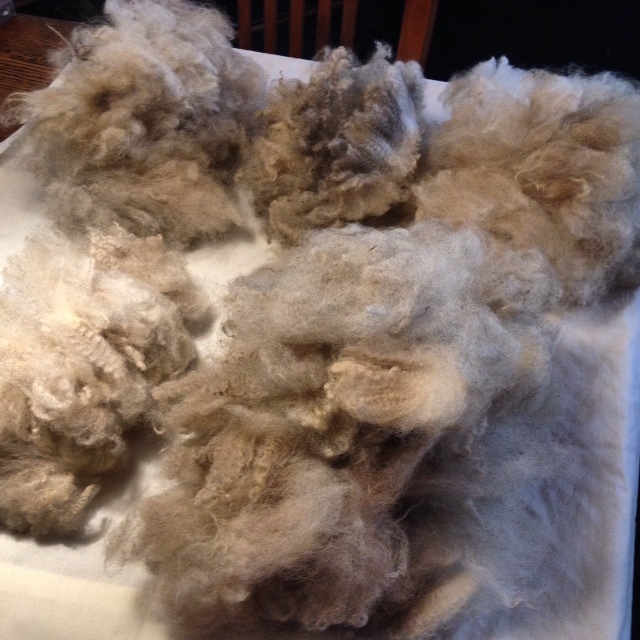 Sample fleece scoured and carded into rolags for spinning. 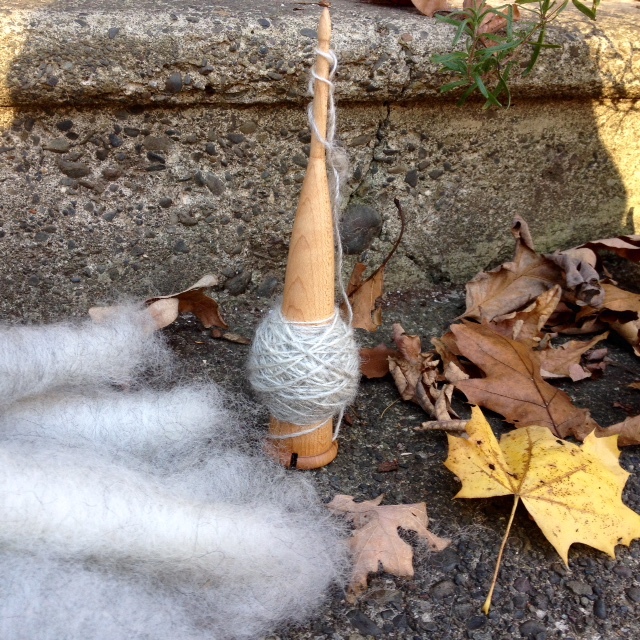 I’ll be spinning prepared rolags on a dealgan, a Scottish spindle (pronounced dJA la gen). Click the image for a link to Lois Swales’ demonstration video. 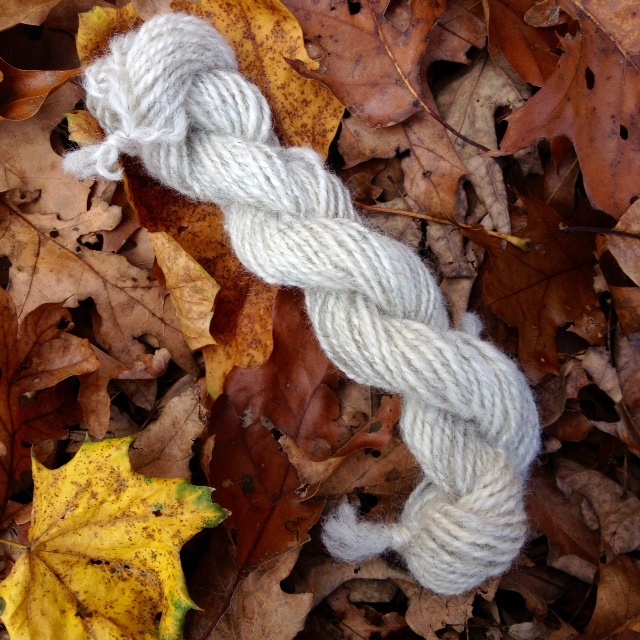 A spun sample of Eloise’s fleece: 21 grams, 33 yards. 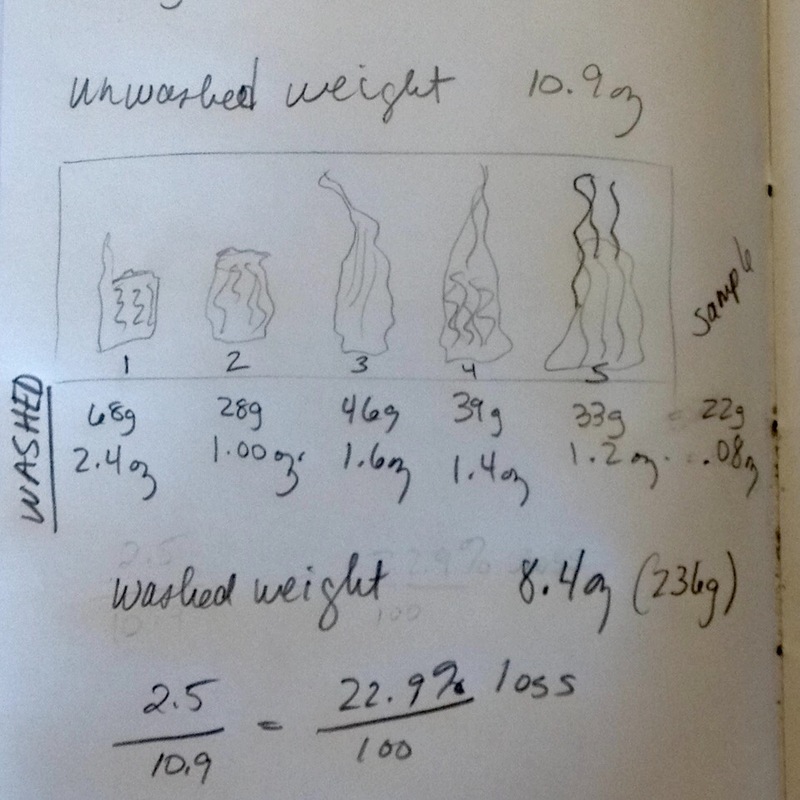 Calculations of unwashed vs. scoured fleece. I experienced a 22.9% loss, which is less than average according to the sources I’ve consulted. I’m keeping track of the different lock formations and spinning them as separate skeins. 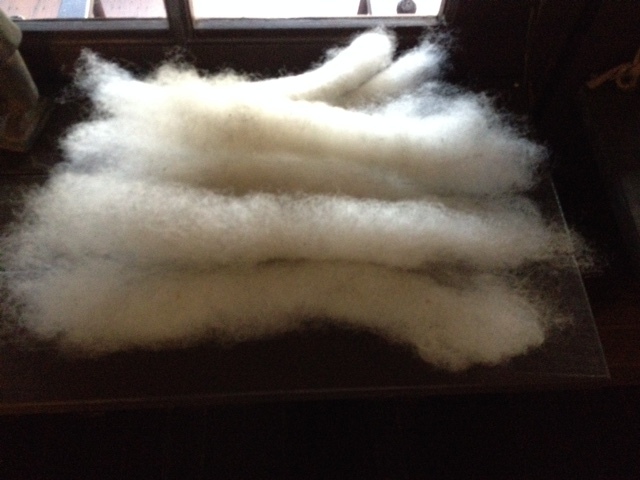 Shetland fleece from beautiful Eloise has all been spindle-spun. I separated the locks into five categories based on lock formation (see below) and spun each type separately. The two balls on the left are the same lock type; I realized that adding too much weight to the dealgan compromised the spinning. Notice the differences in color. 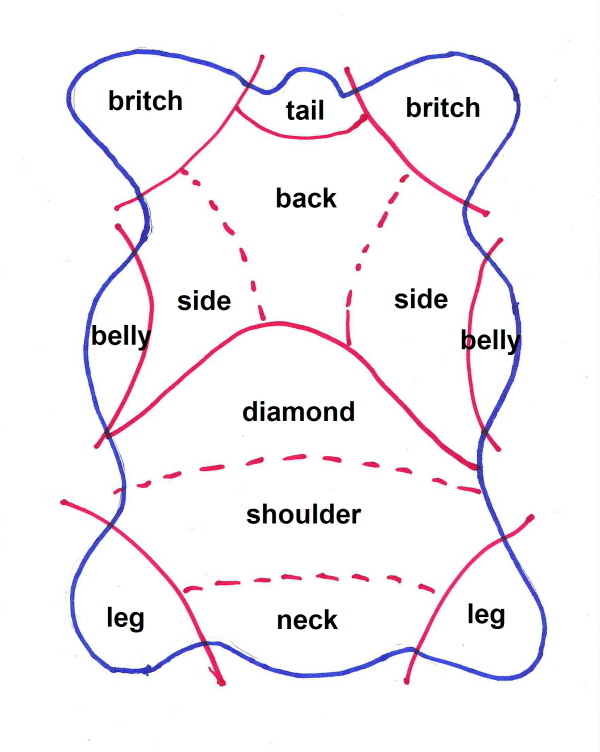 There are also differences in softness and strength.